This list of possibilities could leave you with no power, Call Us To Help Prevent That From Happening! Everyone enjoys having trees and vegetation surround us, after all the forest covers over 40% of the state of Maryland. What we don’t like, is when the trees are overgrown, then topple over and leave us with no power. It is known that trees conflicting with live power lines can be a hazard and are the leading cause of unplanned power interruptions. Many storm related outages in our area are caused by trees or overhanging branches falling onto power lines. To ensure electricity reliability it all starts with keeping your utility lines clear of vegetation, trees and their branches. You can help prevent power outages caused by down trees from your property by regularly inspecting and maintaining the trees on your land. We advise you to contact us to ask about scheduling a periodic inspection to ensure safety for your family and home. We have the necessary equipment to meet demands and ensure optimal safety for our crews and our clients. 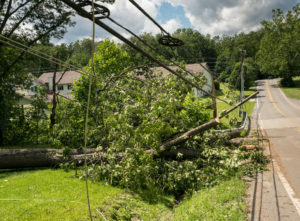 It is very important that you call us to help remove any vegetational obstruction that could potentially cause a power outage or hazard to your neighborhood. 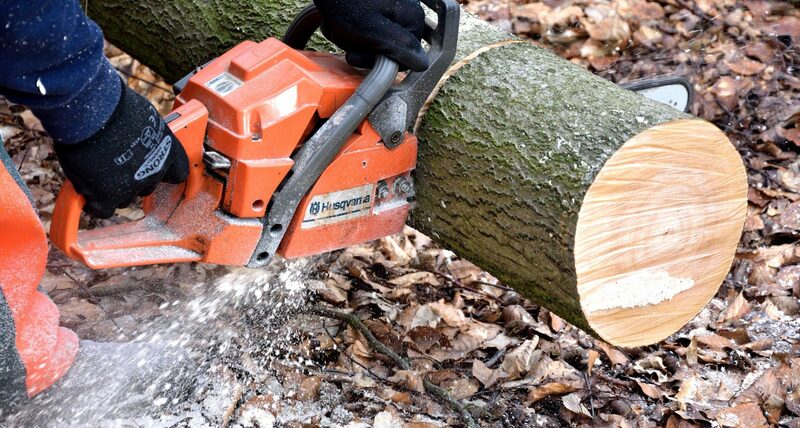 Our professional arborists are skillfully trained and knowledgable of how to safely remove trees and their branches. Contact Us For a Free Inspection & Evaluation Today!